Walnut flour and almond flour are two nut flours that have a lot in common. For example, both contain heart-healthy fats that make them better for you. Their fat content also means that they come with a high potential for oxidation. You will want to store your walnut and almond flour in the refrigerator to keep them from going rancid. There are quite a few major differences as well. Let’s take a look at how these nut flours compare to each other in the SPICEography Showdown below. 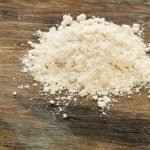 How do walnut flour and almond flour differ? The two most obvious differences between walnut flour and almond flour are their colors and their textures. The difference is dramatic and has to do with how the nuts are processed. Walnut flour is made from what remains of walnut kernels after they have been pressed to extract walnut oil. The remains are called cake and are ground to a texture similar to that of cornmeal. 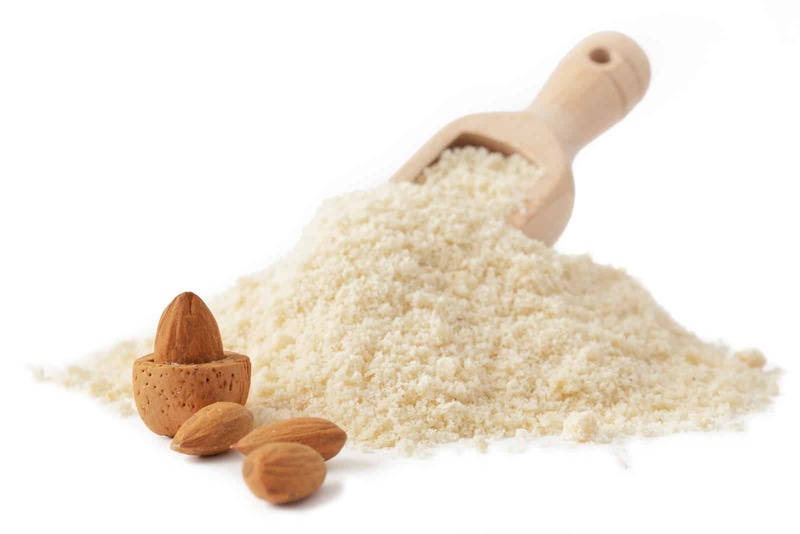 Almond flour is made from blanched almonds that are ground to a finer texture. Walnut flour is made with the skins left on the kernels, while the almonds used to make almond flour are skinless. As a result, walnut flour is brown in color while almond flour has a pale off-white color. Flavor is affected as well. The skins can give the walnut flour a strong nutty flavor sometimes accompanied by bitter notes, which can influence the flavor profile of the baked goods in which it is used. Almond flour’s flavor is mildly nutty at its strongest. The texture of walnut flour is typically coarse and fibrous, while the texture of almond flour will be finer; walnut flour’s texture is closer to that of almond meal than to almond flour. You can use walnut flour in place of almond flour but you may not want to replace all of the almond flour in the recipe with it. The reason is walnut flour’s strong flavor, which is present even when it is not particularly bitter. This is not something that you have to worry about with almond flour. Use it to replace a fraction of the almond flour in a recipe. Note that both of these flours work best as a part of a combination of flours if you are trying to replace flour that contains gluten. They both bring moisture but you may need another gluten-free flour that helps with binding. The fact that neither walnut flour nor almond flour contains gluten makes them equally good options for someone who has celiac disease or a similar condition and who wants a low-carb flour. When should you use walnut flour and when should you use almond flour? You can add walnut flour to many baked goods to improve the nutritional profile. If you want to use by itself, it works best in applications where coarse texture can be an asset. Use it to make pie crusts or the breading on fried foods. 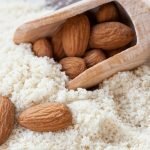 Almond flour is somewhat more versatile because of its finer texture, mild flavor and pale color. All of those properties make it a better substitute for white flour. Use it dishes where a finer flour and lighter color are required and where a strong nutty flavor might detract from the overall flavor profile. 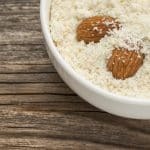 What's A Good Almond Flour Substitute?